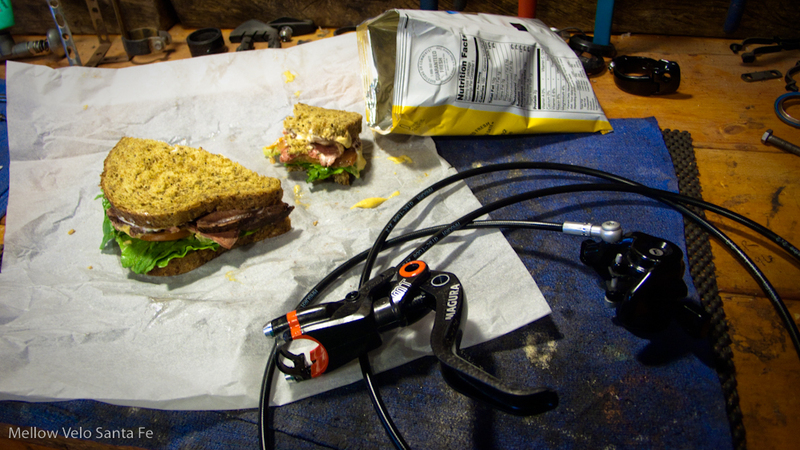 Our buddy Tony Ballantine came by at lunch to show us the new goods from Magura… WOW! These are going to be the next wave in disc brakes, the Magura MT-8. Tony Ballantine, our good buddy and Magura’s National Sales Manager, brought by these “Hot off the Press” MT-8 Disc Brakes. It has the industry’s first injection molded All-Carbon Master Cylinder, which uses much less energy to produce than the aluminum equivalent. The pads are top-loading and magnet-retained, organic pads that will not squeal and dissipate heat very well without transferring it to the fluid. The Carbon lever blades and pivot were designed with the help of an ergonomics professor. The levers are a flip-flop design which can be bled from either side and are Match-Maker compatible if you have SRAM shifters and a five-year no-leak Warranty… VERY VERY COOL!